My experiments’ focus is to obtain an accurate measurement for a specific lens’s power. 1/v (curvature of wavefront after lens) = 1/u (curvature of wavefront before lens) + 1/f (power of the lens/curvature added by lens). By performing an experiment with a source of light, a lens, and a screen, I will obtain several 1/u and 1/v values. When these values are plotted on a 1/v against 1/u graph, they will hopefully give me an accurate estimation of the power of the lens by looking at the axes intercepts. Power pack: For each experiment I kept the output setting to 9 Volts to control the power being delivered to the filament lamp (as power = current x voltage). Power is proportional to intensity and so a brighter/darker output could result in a different range where the created image is in focus. 2x Wires: These took the electric current from the power pack to the light source I was using. Filament lamp: I chose a filament lamp over other sources of light as it is easy to tell when its’ image is formed. This is because the filament is a very definable object. I used it for my first, third and fourth experiments. With a constant voltage output; the intensity of light was relatively constant. Light Emitting Diode: I used an LED for my second experiment. This also maintained a relatively constant intensity of light as the voltage setting on the power pack was not altered. Lens: I used a convex lens with a diameter of 50mm and a claimed focal length of 150mm. It converges incoming light to a specific point based on its power. An image is formed at this point (in my case the filament of the lamp/when LED is most intense). Lens holder: This is a vital piece of apparatus as it keeps the lens firmly in position. I placed this on top of a wooden block so the lens axis was at the same height as the centre of the light source, allowing an image to be formed. 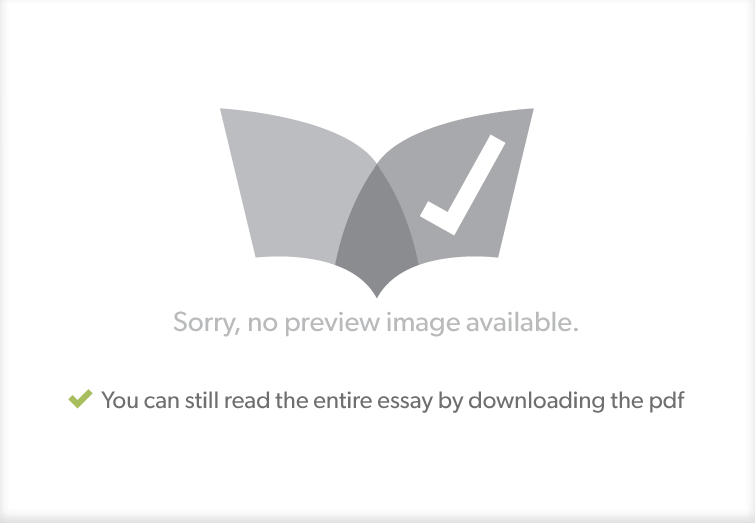 Screen: This was simply a thin wooden block with white paper on the front of it. 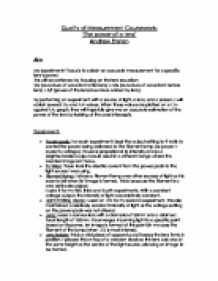 It is beneficial that the paper is white as it reflects most of the light cast on it. The result is a more defined image. Wooden Ruler: The ruler was used to measure the U (distance between light source and lens) values and V (distance between lens and where image is formed) values. It has a resolution of 1mm and therefore creates an uncertainty of +/- 0.5mm in my ‘U’ measurements. This turned out to be a very small percentage uncertainty in the U values ((0.5mm/200mm) x 100) gave the highest value of 0.25%. Such a small percentage is negligible and hence I have ignored uncertainties in U in my calculations. Firstly I placed the ruler horizontally on a desk starting at one end. The ruler was selotaped down at both ends so it didn’t move whilst experimenting. Next I connected the filament lamp to the power pack which was at a setting of 9 volts and plugged into a nearby socket. These components were placed on one end of the desk with the middle of the filament lamp aligned with “0” millimetres on the ruler. At this stage the equipment was set up for the first results. I moved the screen up and down the ruler (on the opposite side of the lens to the filament lamp) until the image is formed on the screen. I would then find the range of where the image is formed, and note down the minimum and maximum distances of this range. With the maximum and minimum V values figured out for a specific U value; I could then work out the mean of these and the uncertainty of V by halving the range. Next I would decrease U by a specific amount by moving the lens closer to the filament lamp. (e.g. from 500mm to 450mm) Then I would work out the V values for this particular U value. Finally I would repeat step 6 until I have data for a range of approximately 10 U values. 1/U and 1/V values must be calculated. These represent the curvature of waves before and after. essentially the radii of curvature (values stated in metres). While this is certainly not an experiment that requires a high level of caution, it can be slightly harmful if no care is taken. The light sources used are quite bright. These should not be looked at directly for an extended period of time as it could cause damage to the eyes. Furthermore a bright filament lamp can become rather warm, it is best to avoid touching it while in use. This is the U and so 1/U value. It is varied by placing the lens at different distances away from the light source. Dependant variable: This is the V and so 1/V value. Its value changes when the U value is varied and hence is dependant of it. Voltage output: If I were to alter the voltage setting, the light source’s intensity will vary which could result in a change of where the image is formed. Also I must use the same diameter and focal length lens; lenses with different focal lengths will of course have different powers. The two intercepts give readings of 6.56 D and 6.31 D. This results in an average of 6.435 +/- 0.125 D. This uncertainty is considerably larger than the first experiment (0.02D). Percentage wise it is also larger (0.125/6.435)x100= 1.94% in comparison to 0.309%. In comparison to the claimed power of 6.67 Dioptres, the result is 0.235 Dioptres out; hence there is an error of (0.235/6.67)x100= 3.25% provided the claimed power is correct. Accuracy: All but one of the plotted points come into contact with the line of best fit. This indicates that my results are quite accurate. The U=325 result is not intercepted and so can be classed as an outlier. Reliability: The reliability of the first graph cannot be summarised well as the uncertainties are impossible to accurately plot for its scale. However the measurement has an uncertainty of 0.125 Dioptres, this will make the result slightly less reliable. The plotted values have produced minimum, mean, and maximum gradients that are slightly more spread in comparison to the first experiment. They intercept the x axis at -6.26 D, -6.38D and -6.46 D respectively. The average of these results turns out to be 6.37 D with an uncertainty of +/- 0.1. The power value is 0.10 Dioptres less than the first experiment. The uncertainty is higher than the first experiment’s (+/- 0.075). This could mean that the second experiment results are unreliable. This result is (6.435-6.37) = 0.065 Dioptres less than the value achieved in the first graph. Two graphs producing similar results suggest it is quite accurate, but certainly not as much as the first experiment where the difference was merely 0.01 Dioptres. The uncertainties in general are certainly smaller than the first experiment overall and so this suggests that my values cannot be influenced by them significantly, meaning my results should be reliable. Looking at the mean gradient line, every single plot is intercepted suggesting the results are accurate. However, quite a few results only just touch the line with the maximum/minimum limits, indicating a minor lack of accuracy. I would summarise that my results are quite accurate and reliable on the basis of the second graph. However when comparing the results to the first experiment, all uncertainties are larger, and the result has a larger error against the claimed power. While I opted to work in a darker environment to try and obtain a more accurate uncertainty in V, a different imaging problem arose. The LED does not produce a distinctive image like the filament lamp; instead I had to judge it to be in focus when the light was most intense. This proved to be rather difficult and hence created some uncertainty, which largely contributed to the higher uncertainties in the results. To combat this error I decided it was best to revert back to using the filament lamp. Utilising the suggested improvements from my first experiment, I obtained results which had lower uncertainties. However the imaging problem opposed this improvement and lead to a higher uncertainty in the final measurement. Also the fact its largest uncertainty (0.0914) is larger than the filament lamp’s largest (0.0873) insinuates that it is generally less reliable for measurements. Based on this I will revert back to using the filament lamp as my light source in hope of achieving more reliable results. In combination with the 25mm gap between each U distance method, I believe I will achieve more accurate results. Another problem was that during the higher values of U, the range of which the image was formed was rather small and so it was hard to tell when exactly the image was in focus. I identified this problem after my first experiment and avoided it to a certain extent by focusing on lower U values. Additionally I noticed after my first experiment that my distance between each U value was too large and led to lack of information when constructing the line of best fit. My result relies heavily on an accurate line of best fit and so I avoided this problem by decreasing the distance between each U value in the later experiments. There were no real equipment problems, however I observed that depending on the scenario, for a specific value of U the mean V value would vary slightly. I imagine this could be related to the power packs as their voltage output setting is not completely accurate and so the intensity of light could vary slightly, leading to the mean V value potentially changing. To avoid this potential problem I ensured that I completed each experiment’s results in one sitting. By having a cautious approach to my experiments I managed to obtain accurate and reliable results. I identified variables and kept them under control so my results could not be affected by them. After each experiment I identified ways to improve and it is proof that they worked as each experiment improved on the previous one. I would consider my experiment very successful as I have improved on my error until a final inaccuracy of merely 0.373% in the power. If I were to perform the experiments again, I would include more values of 1/V so that I could construct an even more accurate line of best fit, and hopefully achieving the exact value for the lens’s power. 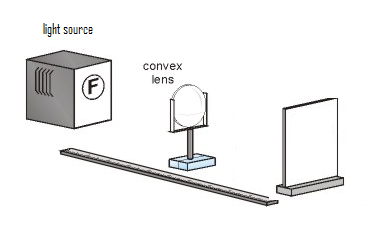 Physics coursework; Finding the focal length of a lens using a graphical method. is greater than red's smallest (0.170(m)). After seeing the extent at which they overlap I would say that my errors are so big because of the limitations that my results have limited reliability and therefore my conclusion has limited reliability. However the trends and patterns were still present. Second run V (cm) Third run V (cm) Average V (cm) 11 86 83 83 84 12 53 58 54 55 13 41.5 38 43 40.6 14 34 32 33 33 15 27 31 29 29 These results suggest that there is a negative correlation between the length of u and the length of v.
Graph the results in various ways. Variables involved Independent variable- the independent variable will be the values of u. I will use a range of 18 centimetres to 200 centimetres. Any greater than 200 centimetres and v gets too difficult to measure because the image is too small. 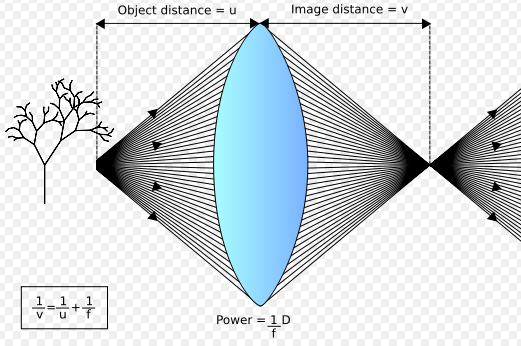 So I have hopefully explained why in my experiment I will use a convex lens, but I have not yet said why I believe the convex lens will cause the magnification of the image to decrease as the object moves further away from the focal point of the lens. It is only in 1801 that Thomas Young developed the idea Rene Descartes had had more than 150 years before. Thomas Young, who was a British physician, took small lenses from his microscope, covered the edges of them in soft wax and put them into his own eyes to correct his vision.